Kristina Marie Darling: Your work makes beautiful use of archival material, engaging texts that range from early American captivity narratives to Mary Shelley’s life and work. I’d love to hear more about how you came to archival poetics. What writers were most formative for your thinking about the poet’s relationship to their textual inheritance? 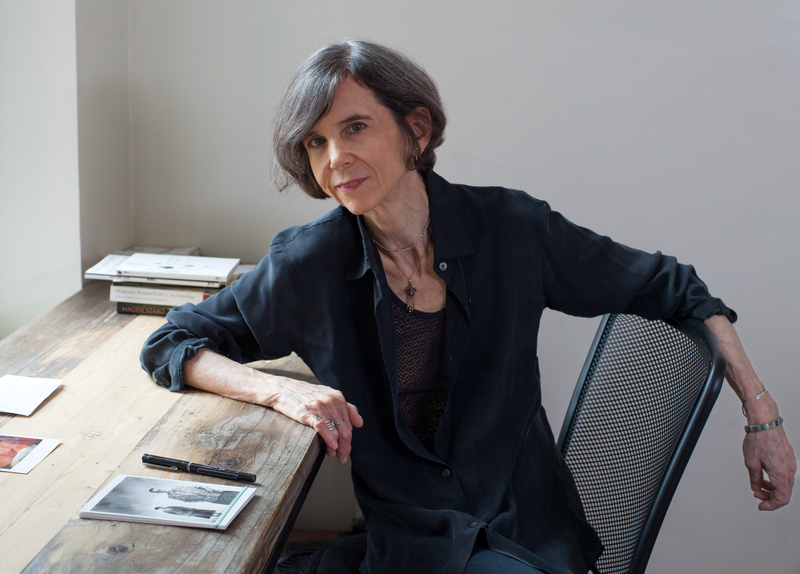 Laurie Sheck: For me archives involve vulnerability, traces, roughness, multiplicity. When I research, I encounter questions I didn’t know I needed— the odd fact or gesture that suggests and then propels areas of inquiry and fascination. On a most basic level, I find this research immensely comforting. The voices I come to, the facts, the meetings of the mind that happen, all of it feels somehow like being accompanied, and even, odd as it may seem, cared for. How I came to this practice is in many ways mysterious to me, though it had something to do with loneliness, and also with an intuitive sense and growing frustration that the form I was working in wasn’t for me the only, or maybe even the right, form. Interacting with archival material after many years of writing poems necessitated a different structure and orientation from what I’d known. I had no name and no direct model for what it could be. I just began what felt like a somewhat nerve-wracking, often trilling adventure, and figured I’d se where it might go. This became A Monster’s Notes. I started it in the mid- 2000s which wasn’t that long ago, but I don’t remember there being much talk then about hybrid forms, or maybe I just wasn’t clued in. I did know Michael Ondaatje’s The Collected Works of Billy the Kid, which he published as a book of poems in the 1970’s, and then after The English Patient made him famous, was re-issued as fiction. This is part of my quarrel with labeling. The book accrues in short fragments, some lineated, others in prose. It includes pages that feel deeply hallucinatory, others that are predominantly documentary, and many that are a mixture of both. There are interviews, un-captioned daguerotypes and photographs, monologues, a reproduction of an old comic book. Billy the Kid’s voice predominates, but it’s a multivocal work. Looking back, I realize I spent a lot of time turning that book over in my mind. The most important contemporary writer for me in terms of thinking about a writer’s relationship to textual inheritance is Susan Howe. Her entire body of work is passionately engaged with this question, and I consider her the third major link in the chain that begins with Emily Dickinson and extends to Gertrude Stein, and now Howe. She understands and brings forth like no other the vulnerable, hurt body of the text, its bravery and layered hauntings, echoic responsiveness, ambiguities, as well as the sheer fact of its materiality. Through collaging multiple texts, and including in those collages broken-off words, single orphaned syllables, linguistic collisions and obliterations she conjurs the ubiquitous violence of appearance and disappearance, and creates an atmosphere that at ties reminds me of a séance. Her method implicitly questions prevailing notions of what it is to write, to be a writer. And she is intensely attuned to the materiality of language. KMD: I admire your use of poetry to redirect the focus of scholarly attention, prompting us to meditate on texts, voices and narratives that have escaped the notice of scholars working in the traditional sense. With that in mind, what unique possibilities does poetry offer for engaging with the materials of history? LS: I’m very interested in what I’m seeing of “documentary poetics”— among others I am thinking of C.D. Wright’s One Big Self, Joseph Harrington’s Things Come On, Kristin Prevallet’s I, Afterlife, Claudia Rankin’s Citizen, the seminal work of Charles Reznikoff, and Sikrath Reddy’s Voyager which is a highly structured poetic erasure of Kurt Waldheim’s memoirs. Poetry is doing in this area what it always does at its best— moving words around in vibrant, unorthodox ways that attend to their “meanings” but also their sounds (which of course are part of meaning), shape, order, disorder, disjunctions, restlessness, contradictions etc. Words aren’t fixed, decisive entities—they encompass ambiguities, shadows, and usage changes over time. I saw an amazing performance the other night by Kota Yamakazii and his dance company Fluid hug-hug. It was like seeing movement re-defined. The write-up in the program described it as “a conversation with bodies” in which “philosophy, dance, and folklore merge...to explore the fragile body, the vaporizing body.” The word “Hiroshima” was never mentioned, but that 70 minutes brought closer to me than anything I’ve ever seen or read that devastating historical reality. Each artform, or form composed of merged forms, has its own particular way of engaging with history. Its own uncanny access, nuance, texture. Just as Yamakazi was seeming to re-define movement, poetry has an opportunity to re-define how we experience language, meaning how we think about what consciousness is, to expand the place for multiplicity, uncertainty, the making and breaking of form, the possibilities of structures that may not seem like structures at first, but are, as well as to explore what it means and feels like to be inundated with data, the virtual, the seemingly endless labyrinth of the internet. How can poetry incorporate the idea that meaning destroys itself, that entropy exists, that the virtual has merged with the real. KMD: Your work provocatively calls our attention to the strangeness of history, and the uncanniness of encountering the materials of someone else’s life. With that in mind, I’d love to hear more about your process. What has been most surprising for you working with historical material? LS: Maybe what’s been most surprising are the unexpected convergences. I’ve learned to understand that the material will give me what I need, and if it doesn’t it’s because of my own blindness or defensiveness. Barthes writes of being “alone and disarmed” before a photograph. To be vulnerable and even unsteadied can enable (when not doing the opposite) a kind of openness of seeing, an alertness to what is. Nothing is more weird or radical than a fact. Dostoevsky understood this with every cell of his body, it’s partly what makes him a great writer. A small example of a convergence occurred when I was writing A Monster’s Notes. In that book the monster is still alive in the 21st century and remembering Mary Shelley who he first met when she was a young girl, and how their sudden prating left them both traumatized and bewildered. Late in the book the monster is able to clairvoyantly see Mary’s hand and the page she is writing. Earlier, I had written Mary describing her trauma as having the feeling her skin was turning to glass. “My skin had become laboratory glass. I was a vial horribly smooth yet easily shattered, a slide on which samples had been smeared. No nerves dwelled in that skin...I could feel nothing.” And then, as I moved Mary forward in her life and did further research I found that in fact as a girl she had been sent away for a time to Scotland and that the people she stayed with belonged to a sect called “Glassites.” This is the gift of the real. As a writer, at that point you just get down on your knees and give thanks. In addition to the convergences, another thing which has been important to me but not really is how ingenious facts are. They’re like the best writers. I did a lot of research for for Island of the Mad , much of it on the Venetian plague of 1575. There was a plague ledger kept by a Dr. Gaspare in which he listed each victim, symptoms, progression and duration of the illness, time of death. This went on for many months. On each page he’d sign his name. Finally, one day he wrote his own name followed by symptoms, progression, then, astoundingly to me at least, time of death And then he signed his name below his death-date. Such things stay with you. On the day the plague ended the city’s ledger was finally blank—no new death was recorded. That day is called The Day of the White Page. KMD: Your body of work reads as a skillful and subtle advocacy, an activism grounded in the language and texts of history. When considering the implicit politics of the archive, what does poetry make possible for women’s voices? LS: Well, I don’t really think in terms of poetry, but of writing, and I think the question of women’s voices both on the page and off is crucial, even urgent. As I get older I am increasingly aware of the obstacles women writers face, that women face. It is a prejudice that is not so much personal as it is systemic, pervasive, insidious, and as destructive and soul-damaging as racism. More than once I’ve wished I’d used initials or a gender-neutral pseudonym on my more recent books. What a woman writer, any writer, can insist upon is the importance of equality, justice, exploration, curiosity, freedom of mind. Maybe part of what poetry does is remind us that a mind that is tender can also be unjust, and a humble mind can also be proud— we are ambiguous, contradictory creatures. James Baldwin in his 1962 essay “The Creative Process” wrote, “A society must assume that it is stable, but the artist must know, and let us know, that there is nothing stable under heaven. One cannot possibly build a school, teach a child, or drive a car without taking some things for granted. The artist cannot and must not take anything for granted, but must drive to the heart of every answer and expose the question the answer hides.” It’s that swerve Baldwin takes that gets me—answers aren’t solutions or stopping points but sites of concealment. KMD: What poets are you currently reading? What nonliterary texts are you thinking about or engaging? LS: These days I experience books and reading as a kind of large intertextual net or web. And I include within that web dance, theater, music, video, etc. I am very interested at the moment in the films of R.W. Fassbinder and in his screenplay In A Year of Thirteen Moons. I continue to be in the thrall of Dostoevsky. I read Susan Howe’s body of work off and on throughout the year. The same goes for Emily Dickinson, Gertrude Stein and James Baldwin. They are a comfort and more to me. And Howe, to my mind, is our greatest living poet. I have recently gone back to the work of Gustaf Sobin, an expatriate American writer who lived in France and whose poems and critical prose are too often overlooked. I’m reading a lot of work that deals in one way or another with particle physics and astronomy. I pluck from the books what I can. When I find myself over-identifying with anti-particles I tell myself I’m probably spending too much time alone, but there’s never enough time in the day to get everything in. I’m also reading Slow Manifesto, a collection of blog postings by the late, brilliant architect Lebbeus Woods, “I am at war with my time...with fixed and frightened forms...” and a work called Ethical Loneliness that considers how trauma and loneliness become part of the same world. In fiction there’s William Gibson, Clarice Lispector, Fleur Jaguey. I’m also dipping in and out of a multi-volume work of architectural philosophy, A Pattern Language, by Christopher Alexander, which is a kind of meditation on the nature and history of structures and how they come into being, which for me also resonates with issues of linguistic structure. And I just picked up a really interesting collection of documents and texts on Guy Debord and the Situationist International which October Magazine compiled in the early 2000’s. LS: After I finished A Monster’s Notes, I started to sense it might be part of a trilogy using a similar structure and methodology. This wasn’t the most convenient or comforting feeling as coming up with book ideas is very hard for me. I didn’t have a clue what the other two might be! Eventually I wrote Island of the Mad, which involves Dostoevsky and Venice, among other things, and the time I spent close to Dostoevsky’s work was completely thrilling and eye-opening. Now I am into the third. With each book, my practice is to identify a couple of areas of fascination and then plunge in. I’m basically mostly ignorant at the start and just learn as I go. This third mash-up, if it works, is set partly at CERN, the particle physics laboratory in Geneva. It also involves a Borges story and a film by RW Fassbinder. It’s a pretty wild ride, but so were the others. A couple of months ago I discovered that the first music video ever online came out of CERN. Collider, by Les Horribles Cernettes, a girl group. It’s great and you can watch it on youtube. Kristina Marie Darling is the author of twenty-seven books, which include JE SUIS L’AUTRE: ESSAYS & INTERROGATIONS (C&R Press, 2017) and DARK HORSE (C&R Press, 2018). Within the past few years, her writing has been honored with three residencies at Yaddo, where she has held both the Martha Walsh Pulver Residency for a Poet and the Howard Moss Residency in Poetry; a Hawthornden Castle Fellowship, funded by the Heinz Foundation; and three residencies at the American Academy in Rome. She is the recipient of grants from Harvard University’s Kittredge Fund, the Whiting Foundation, the Elizabeth George Foundation, the Ora Lerman Trust, the Regional Arts Commission of St. Louis, and the Rockefeller Archive Center. A graduate of NYU’s MFA in Creative Writing Program and the PhD Program in Literature at SUNY-Buffalo, Kristina currently serves as Editor-in-Chief of Tupelo Quarterly, Associate Editor-in-Chief of Tupelo Press, and a contributing writer at Publishers Weekly.